The installation was designed based on the idea of L-finesse’s “Coexistence of two contrary elements”, using the concept of ‘elastic yet strong’, derived from the crystal structure of a diamond. 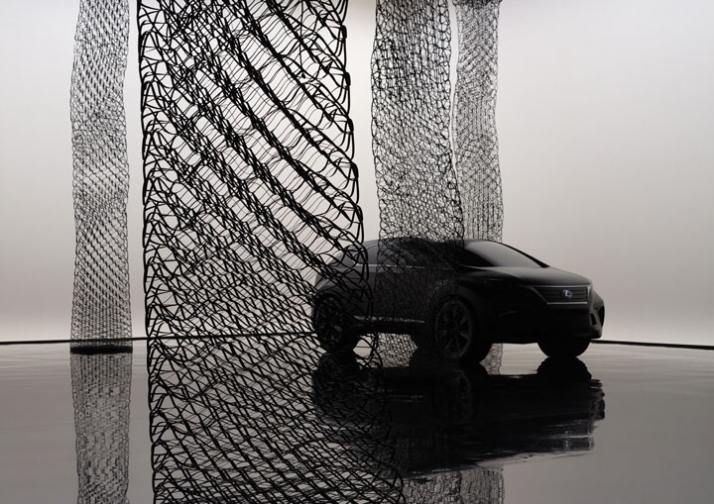 nendo discovered a conceptual affinity between Lexus cars, which combine advanced technology and ingenious skills, and the diamond structure, considered the hardest natural material on earth. Just as cutting the diamond creates extreme beauty through applied high- technology, so L-finesse departs from the norms of automotive design and practice to achieve fascinating individuality. The combination of contrary elements, the ‘dynamically hard’ crystal structure and the ‘elastic fragility’ of other materials, creates an ‘elastic yet strong’ existence. The installation structure created from this idea initially seems to make its presence felt as something that is seen from a distance. However, when closely examined, the structure is porous and transparent; recalling images of clouds or cloud-like objects. Its basic structure is simple and mathematical, yet, the moulding and space created by its flexible sequence constructs a complex profundity of dynamic movement and interaction. For Lexus 2005 marked the introduction of its unique design philosophy - L-finesse. 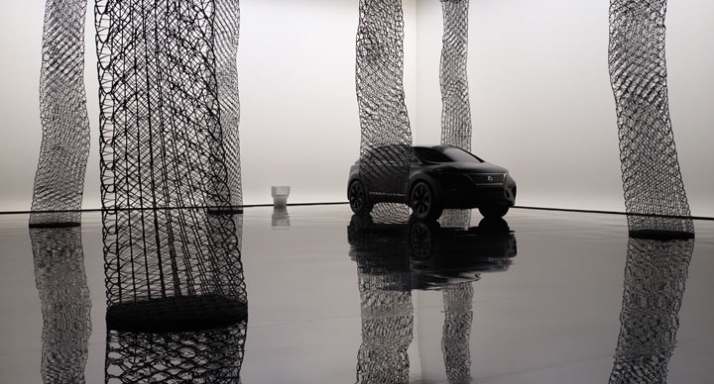 Also Lexus took a major step towards a deeper involvement with the artistic community by staging an exhibition of contemporary art at the Milan Design Week. From its beginning, Lexus has collaborated with leading independent Japanese artists to explore various alternative ways of expressing L-finesse. And, for 2008, this fourth exhibition further extends this tradition of combining Lexus values with leading edge Japanese contemporary art and design. 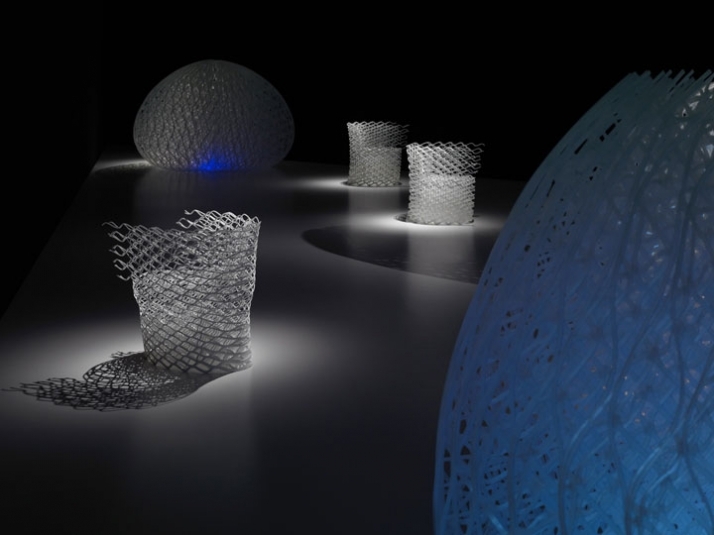 Suitably housed in the Museo della Permanente art gallery, the theme “elastic diamond” has been developed in collaboration with the award-winning design company nendo lead by Oki Sato. A dynamic installation of light, forms and space has been specifically created to convey the feeling of L-finesse. 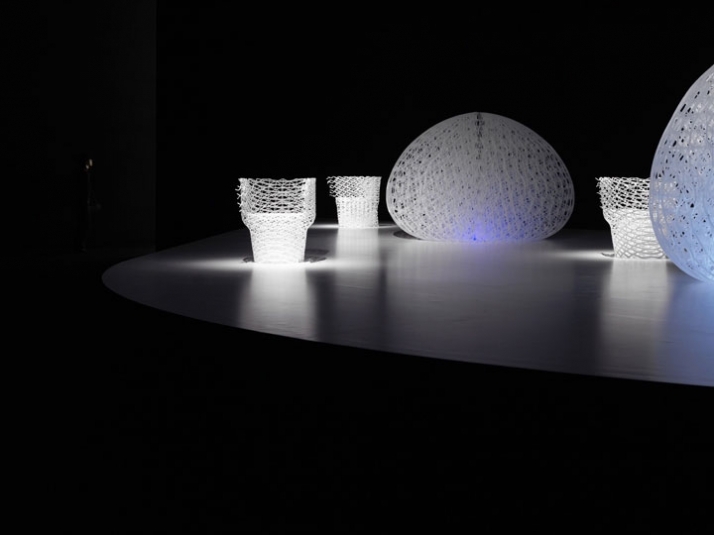 The exhibition includes a moulded model of the Lexus LF-Xh concept car from the 2007 Tokyo Motor Show, and uniquely formed diamond chairs. 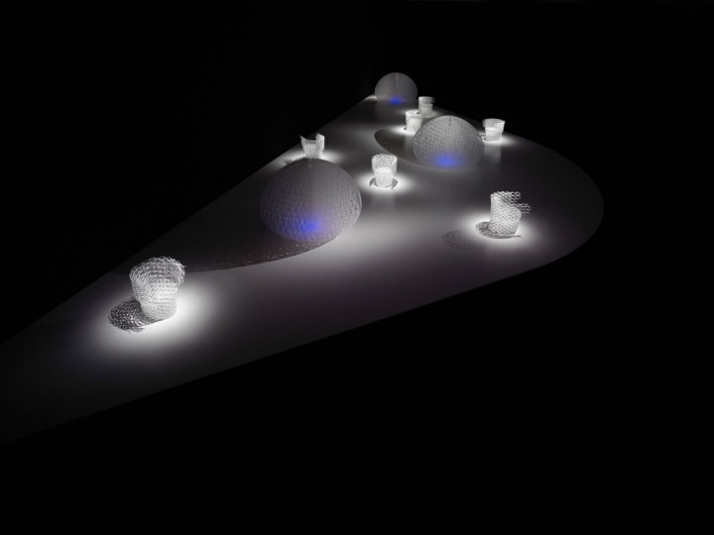 The result is a vibrant exploration of the perceptual contradictions of hard crystalline forms interacting with tactile and elastic materials. L-finesse is the Lexus Design philosophy that defines the core design character of all Lexus products. It comprises two factors: the intensity of being ‘leading-edge’ and the depth of ‘finesse’. An element which connects to the Japanese ideal of hospitality, Lexus seeks to weave experience, which goes beyond shapes and forms, into design by constantly anticipating customers’ desires and feelings. The simplicity of form achieved by Lexus is not merely about reducing forms; it is about removing extraneous elements to elevate those necessary to incisive simplicity. The depth of elegance is created by the dimensional coexistence of two contrary elements, without depending upon decoration. 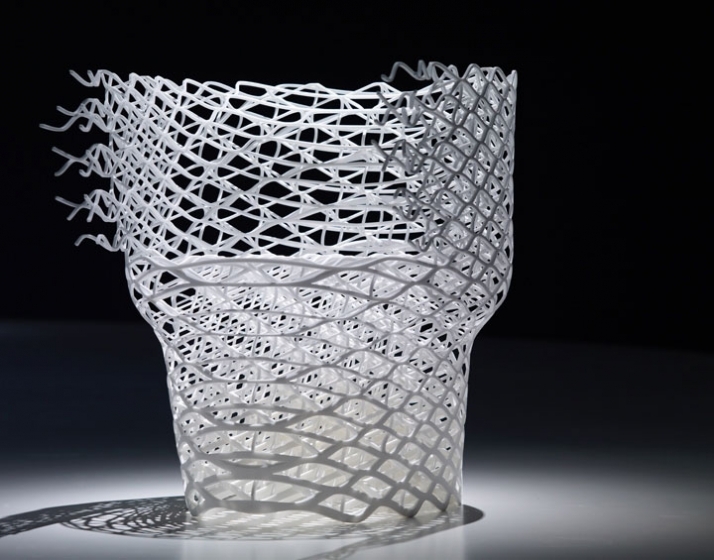 Made by sintering nylon powder using a laser operated technique called rapid prototyping. The form challenges perceptions by creating a functional “elastic yet strong” structure.